Though honey masks are nothing new to the diehard green beauty lover, honey masks infused with a variety of essential oils, clays and superfoods definitely grabs some attention. Combine this interesting ingredients list with an exotic locale — hello, Hawaii — and you’ve got Leahlani Skincare’s Mermaid Mask. 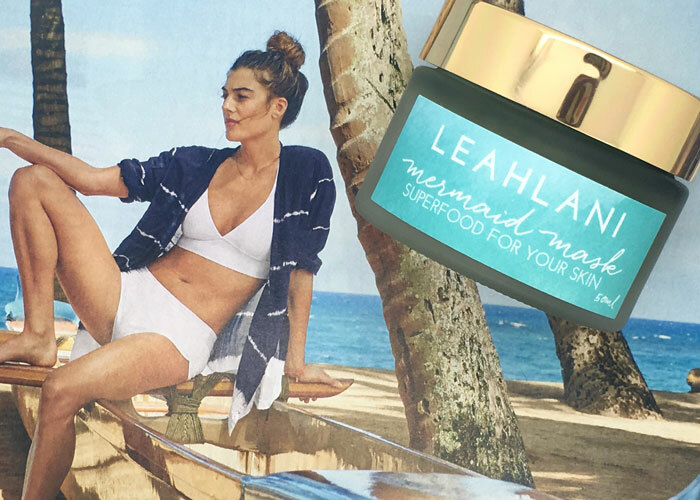 Accurately described as an “emerald pot of Hawaiian goodness,” Leahlani Skincare’s Mermaid Mask is designed to feed your face a healthy dose of superfoods known for their ability to cleanse, brighten, moisturize and purify the skin. I was particularly drawn to it because I have acne-prone skin that responds well to honey as a treatment. Hawaiian raw honey, which is naturally antiseptic, provides a strong base for superfoods spirulina and chlorella. 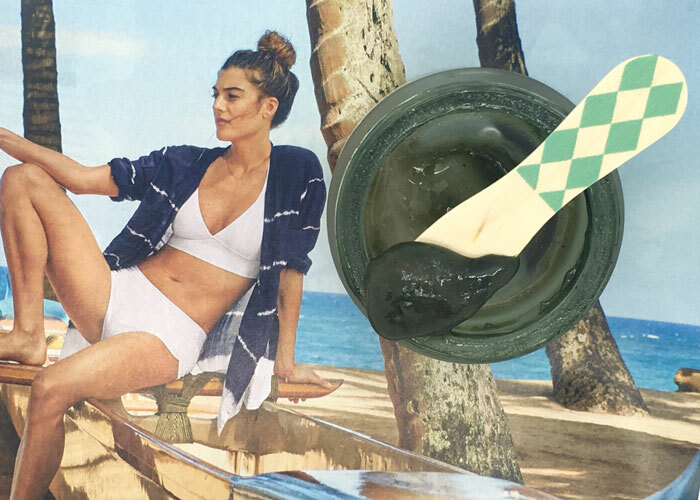 These two nutrient-dense ingredients give the Mermaid Mask its distinct, deep green color and provide a bit of toning action to the skin. The Mermaid Mask also includes a few different clays — French green and pure sea clay — to help further tighten and tone the skin without overdrying (thanks, honey). This mask is a great example of how to blend a perfect cocktail of honey, clay, oils and essential oils for a mask that can be great for all skin types. No more drying, cracking clay masks, please! If you’re wondering about the abundance of essential oils in this blend, Leahlani Skincare adds them for a reason. A few that caught my eye include palmarosa (for hydration); white lotus (for antifungal support); and coriander (for anti-inflammatory support). This combination of ingredients makes the Mermaid Mask smell tropical yet soft with a touch of earthiness. The texture, as you can imagine with any honey-based formula, is sticky and can be a bit gritty if the honey crystalizes. That’s why I like to thin it out a bit with a few drops of water before sliding it onto my face with my fingers (painting it on with a brush just doesn’t work). As long as you’re not allergic or sensitive to any of the ingredients in this pretty pot, Leahlani Skincare’s Mermaid Mask is a great all-purpose creation to have in your collection. Of the Leahlani products I’ve tested, I finished this one up first and found myself continually coming back to it. The experience using it is fun (I mean c’mon, it’s a deep green mask!) and leaves the skin feeling touchably soft. While the price is a bit steep (compared to what it costs to buy a big jar of raw or Manuka honey and attempt some DIYs), the formula is thoughtful and interesting. I’d easily buy it as a gift (Leahlani’s packaging is artful!) and recommend it to anyone who loves a beautiful honey-based mask and isn’t into DIY. Have you tried Leahlani’s Mermaid Mask? What are your favorite mask ingredients? Do you like using honey on your face? Tell me in the comments!